The Marked Zone annotation defines a closed figure plotted on the view-port. Its boundaries are set according to properties defining values along two axes of the series. There are two marked zone annotation: CartesianMarkedZoneAnnotation and PolarMarkedZoneAnnotation. BackColor: Sets the back color of the annotation. BorderDashStyle: Defines the dash style of the border of the annotation. BorderDashPattern: Defines the dash pattern of the border of the annotation. BorderColor: Sets the color of the border of the annotation. BorderWidth: Specifies the width of the border of the annotation. 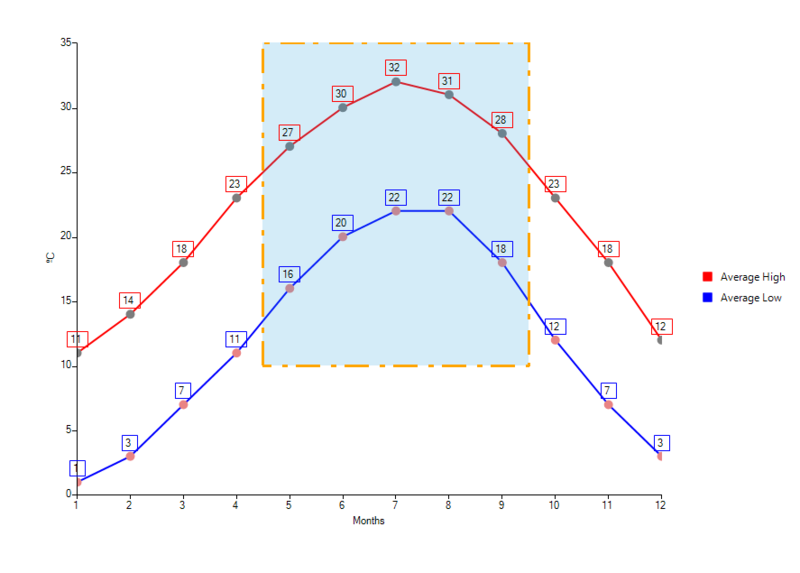 HorizontalAxis and VerticalAxis: Used for associating the annotation with the chart axes. BackColorL: Defines the back color of the marked zone. BorderColorL Specifies the border color of the marked zone. BorderWidth: Sets the border width of the marked zone. In the following example additional styling is applied to the default look of the annotation. 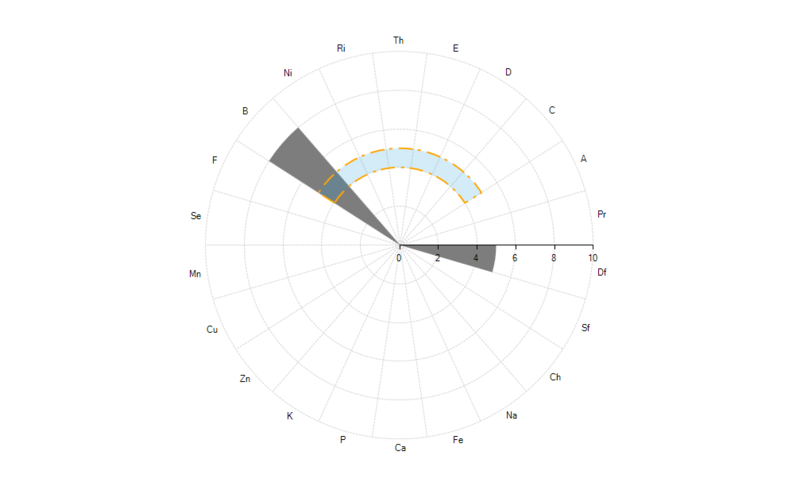 The PolarMarkedZoneAnnotation defines a pie arc segment painted on a Polar area. 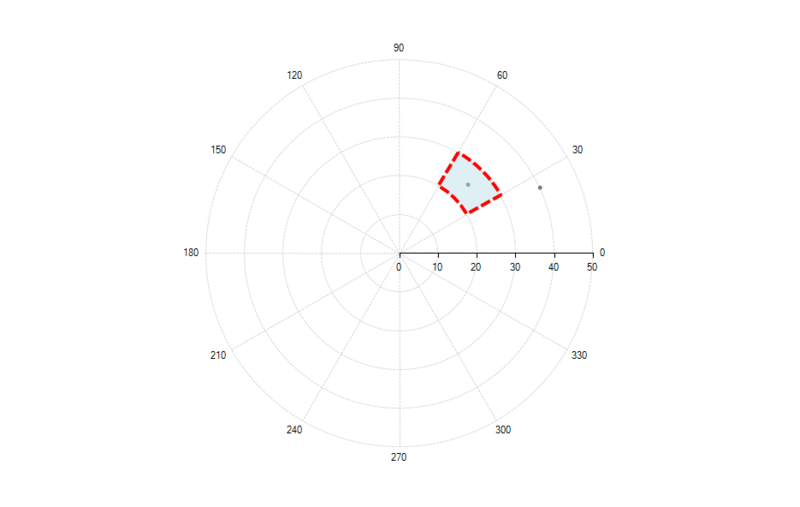 This annotation is compatible for series using a Polar coordinate system: RadarColumnSeries, RadarPointSeries, and PolarPointSeries. Four properties need to be set for a polar marked zone annotation. PolarFrom: Gets or sets the starting point on the Polar axis. PolarTo: Gets or sets the ending point on the Polar axis. RadialFrom: Gets or sets the starting point on the Radial axis. RadialTo: Gets or sets the ending point on the Radial axis. The values set to the RadialFrom and RadialTo properties need to correspond to the type of the series. In the case of Radar series, one needs to use categories as values and in the case of a Polar series one needs to use angles. 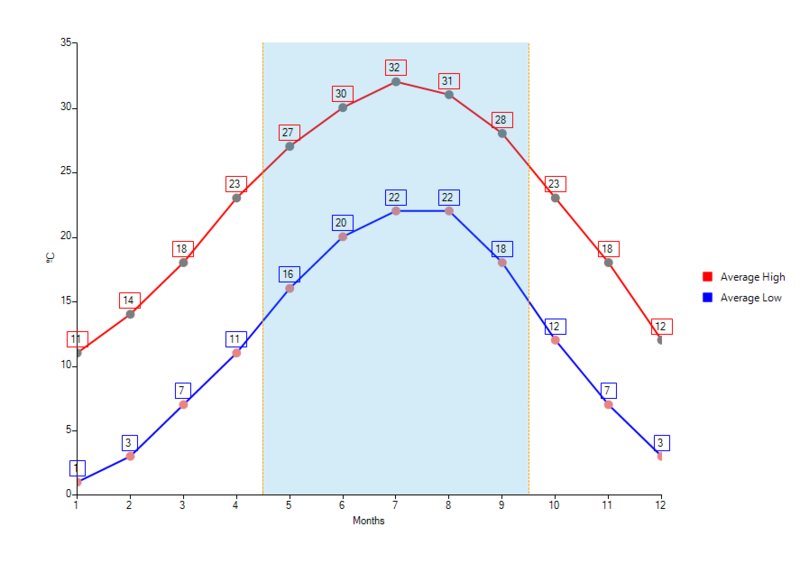 The example below adds a PolarMarkedZoneAnnotation to a PolarPointSeries.